As part of our CSR efforts, Harta Intan has undertaken to be a sponsor of the ESTEEM (Engaging Science, Technology, Engineering, English and Maths) programme offered by Penang Youth Development Corporation. This community service project, launched in January 2015, currently offers science and English classes to school children at the Karpal Singh Penang Learning Centre in Gelugor. Harta Intan, working via Livingston House of Language, offers English classes (Std 1-6) whilst Penang Science Cluster (PSC) handles the science and maths classes. The classes are presently only on Saturdays from 2pm to 6pm. 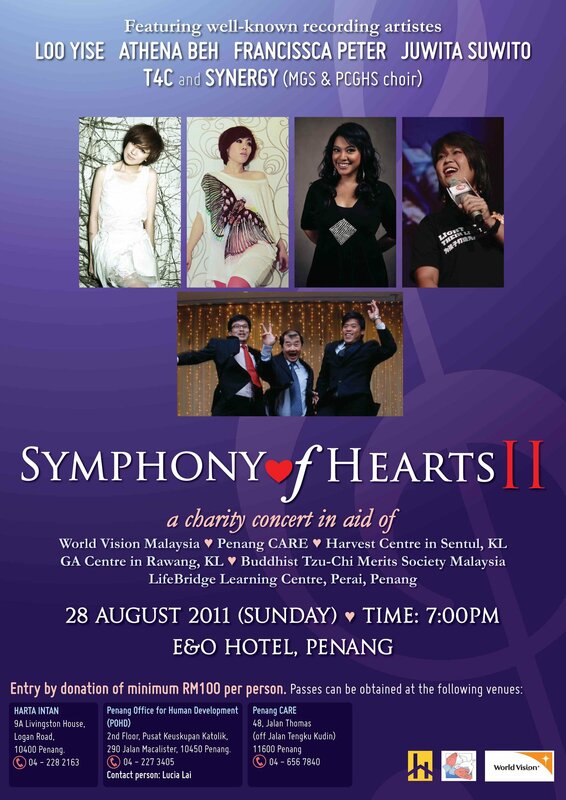 Harta Intan Group of Companies teamed up with Penang CARE and World Vision Malaysia to put together a Charity Concert once again after being strongly encouraged by the success of the previous Symphony of Hearts concert in 2009. 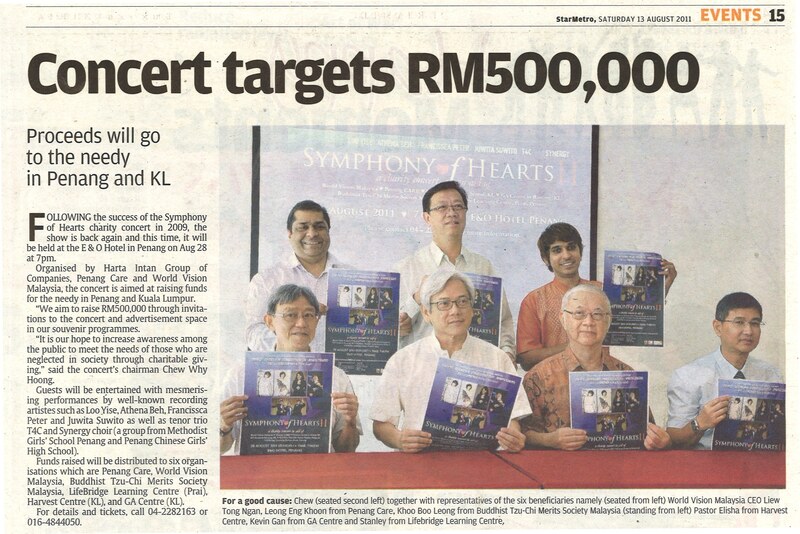 A total of half a million ringgit was raised and distributed between six beneficiaries: Penang CARE, World Vision Malaysia, Buddhist Tzu-Chi Merits Society Malaysia, LifeBridge Learning Centre (Perai, Penang), Harvest Centre (Sentul, KL) and the GA Centre (Rawang, KL).